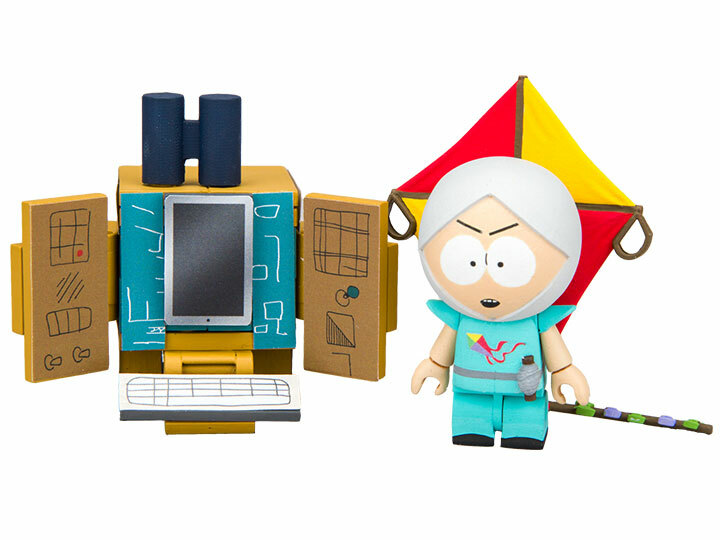 The South Park Micro construction sets feature buildable playset and figures that feature articulation in the main joints and have swappable heads/limbs. The bricks and figures are compatible with other construction brands. The Supercomputer set contains approximately 42 pieces.